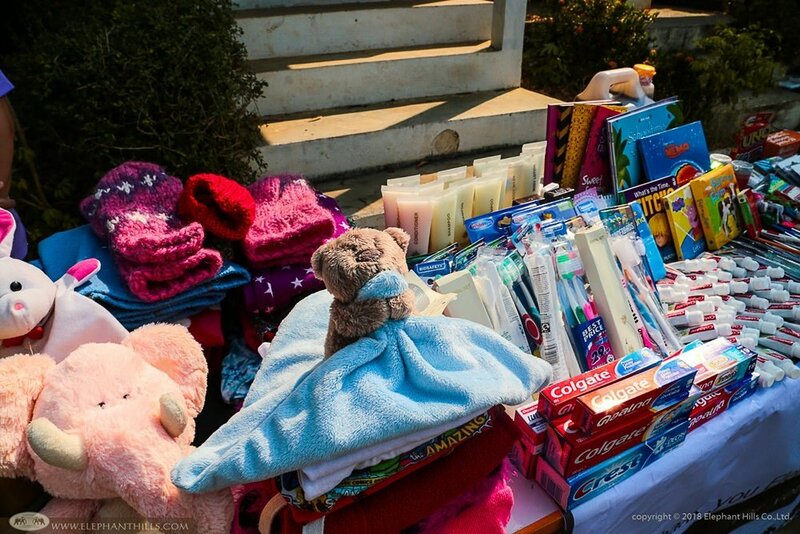 It has been amazing to see that many guests visiting Elephant Hills have spotted on our “Pack with a purpose” list that we are currently looking for warm, second-hand clothes for the children living in mountainous areas in the Northern Thailand. 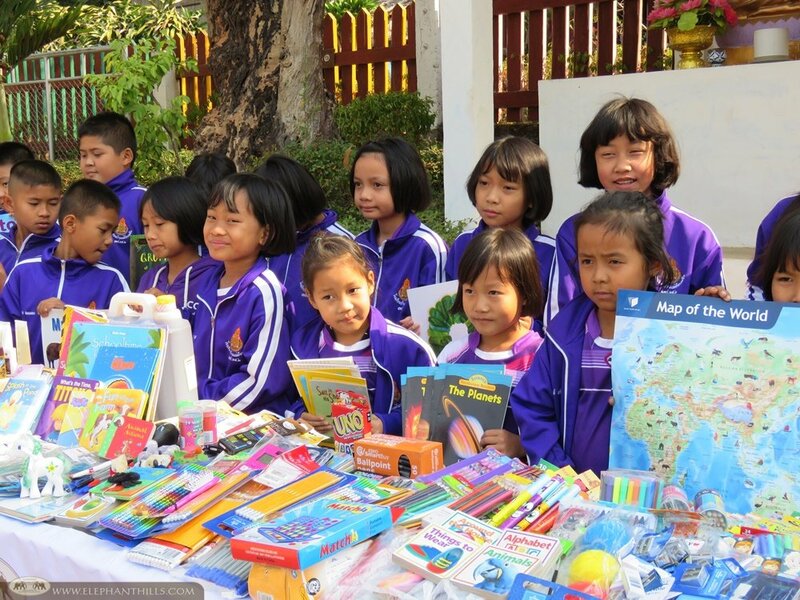 Many of the clothes donated during the past few months, along with plenty of stationery and toiletries were recently delivered to Baan Mae Tob Nuea School. 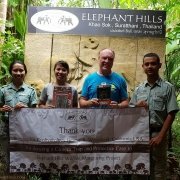 We have a close connection to the area, as our elephant handlers are originally from Mae Hong Son Province. 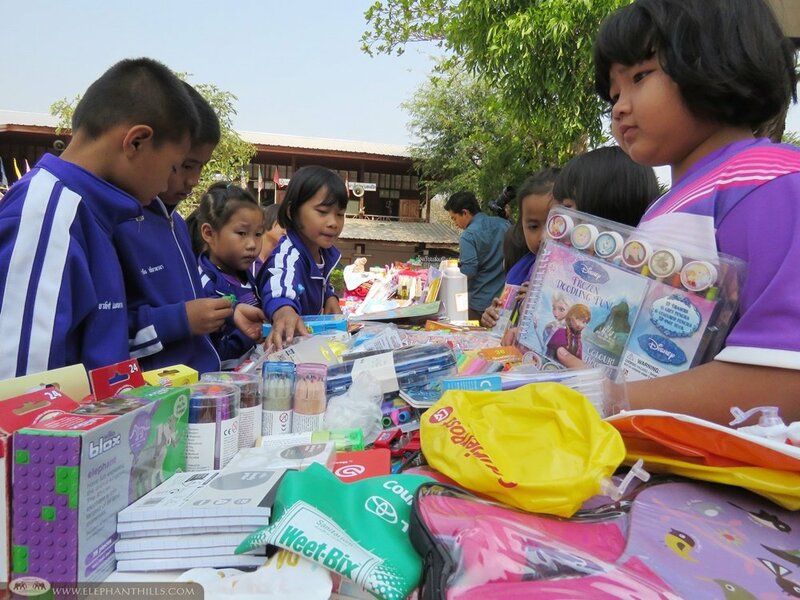 On our previous visit we donated playground equipment, tooth brushes, tooth paste and painting equipment for Tob Nuea School, and our very first donation consisted of sports equipment and stationery. 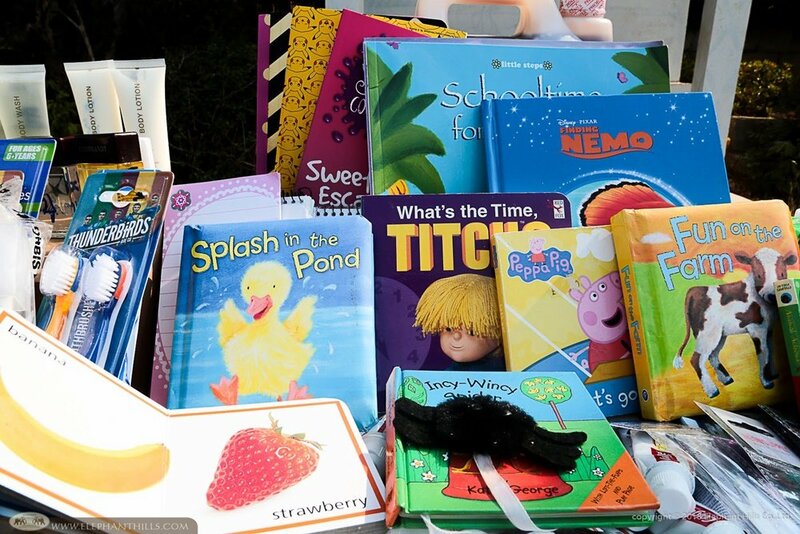 As always, the reunion was very heart-warming, and the teachers and children were overjoyed when they saw the wonderful donations from Elephant Hills’ guests. 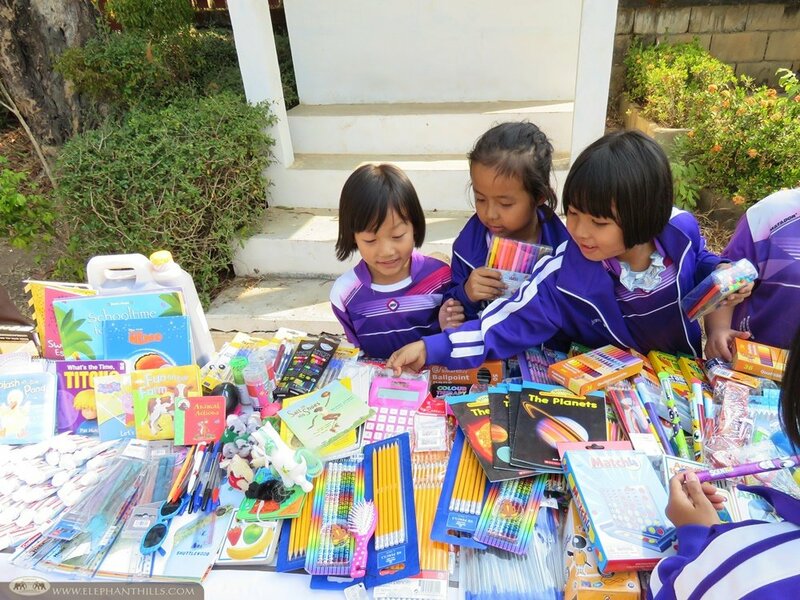 Plenty of colorful stationery including crayons, coloring pens and pencils, notebooks, games and simple English books were quickly surrounded by curious little hands and wide smiles. 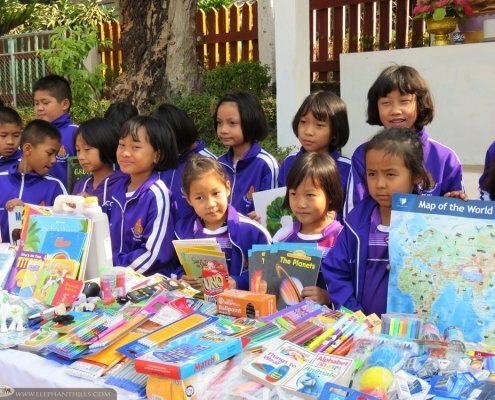 The young students at Baan Mae Tob Nuea School were simply amazed by the books and stationery from all over the world! 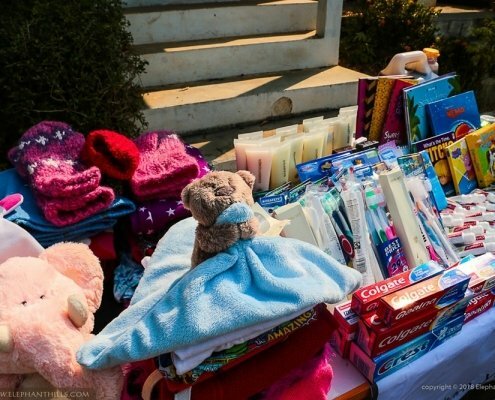 The teachers helped handing out the second-hand shoes and clothes, such as trousers, t-shirts, jumpers, hoodies, hats and mittens. Some of the children had just recently arrived from the hilltribe villages to attend the school and were extremely happy to receive new clothes. Prior to the visit we had also discussed with the teachers about the school’s food supply and brought some dried food and seasoning to support the school meals. In Baan Mae Tob Nuea School they have 78 students, and those who need to stay overnight at the school attend the sister school, Baan Mae Tob Tai instead. We are absolutely thrilled and impressed of the outstanding support from our bighearted visitors. 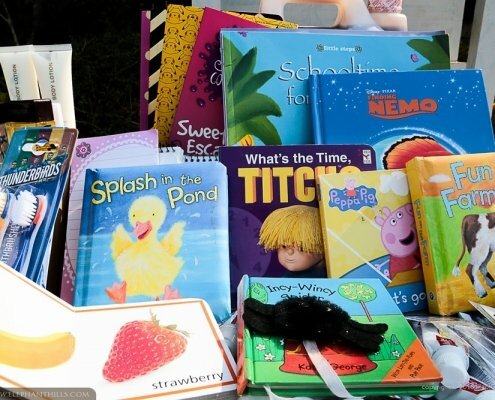 If you, your friends or relatives are planning for a visit to Elephant Hills, please check out our “Pack with a purpose” section, which lists the items most needed at the schools we support. Within our Children’s Project we also do more extensive projects with our partners from all around the world through corporate sponsorship. 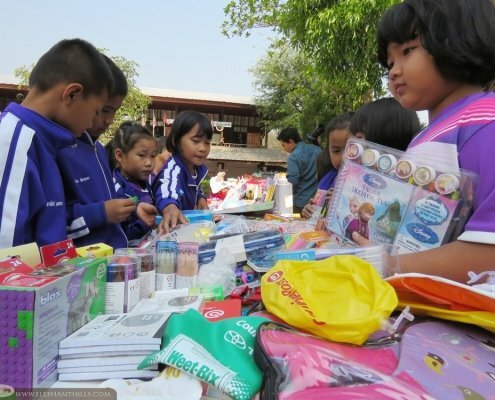 If you or your company would like to join hands with us and help to improve the lives of the less fortunate Thai children, please contact us at [email protected] for more information.